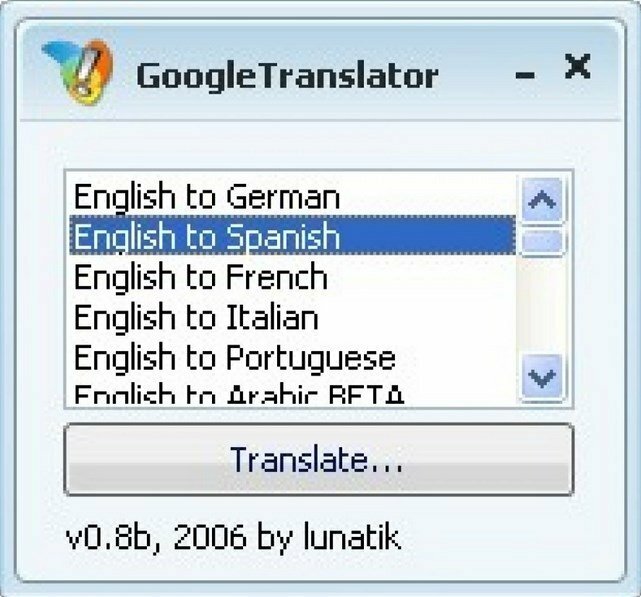 One of the most used Google tools is probably its translator. It's capable of carrying out simultaneous translations between dozens of languages allowing us to understand languages we don't know and express ourselves using them. Thanks to having GoogleTranslator installed, your Windows Live conversations can be translated simultaneously while you write. You've only got to install it and choose the languages from which and to which you want to translate. Don't languages be a communicational barrier. 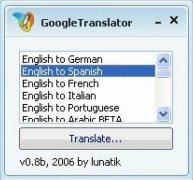 How does this translation tool actually work? Once you've installed the plug-in of the chat and instant messaging app, you'll only have to choose the word or sentence and press F5. A window will open from which you can choose the source and target languages.